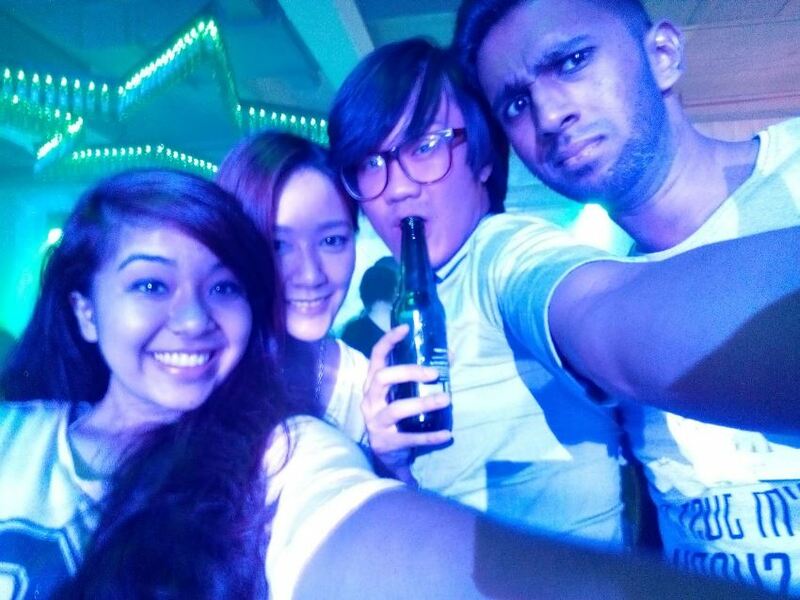 It has been exactly a month plus since I attended an event. During the month of Ramadhan it was REALLY REALLY quiet. Kid you not, I wasn't the only person who thought that. However it took me a while to realise... "wow there isn't any party event going on this month". 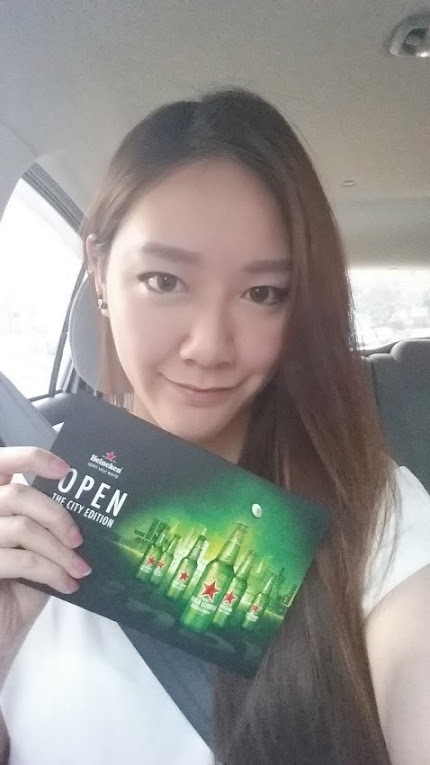 So when Heineken had their Cities of the World event, I was THRILLED! Although I was really tired from work, I thought to myself that no way I was going to skip this event, I waited for it too long! "Cities of the World" took place on August 7th, 2014. Where? I only know the name of the road such as 'section something' because the name of the building was not provided. I'm thinking maybe Heineken wanted to create some excitement for us. Having said that I was really tired from work and knowing I have an early day the next day did not make me feel any better. But there was just so much determination and I have no idea where I got my energy from. No events for a month and I'm like this, i'm not proud. While on the way to pick Sandy up, I was stuck in a jam and because of that, I had time to express my excitement via a selfie! Unfortunately for me I did not manage to post on my Instagram cause after picking Sandy we kinda rushed over and I was pretty occupied with driving and finding the place. But it's okay, I shall share this picture here. 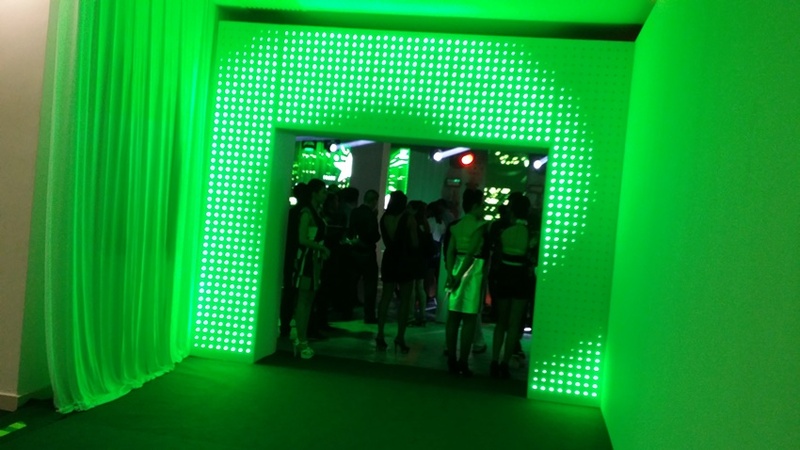 It was a different experience because the entrance did not lead us straight to the main hall. Instead it took us to a few places. It was like a maze where we have to enter one door and exit at the other. We entered into a tailor shop, a hair salon, and Paradox. Paradox is a cafe that's popular for social Salsa dancing. I had a good chat with one of the hairstylist here, getting some hair care advice. 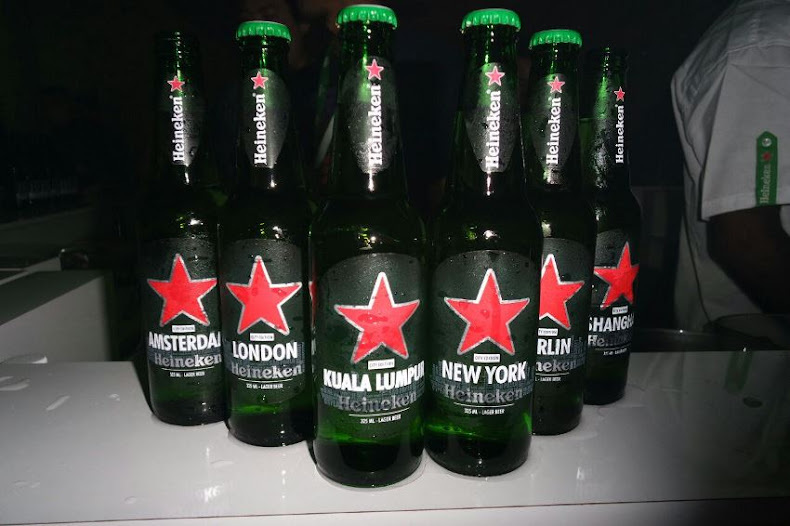 At the event, Heineken introduces the limited Cities edition bottles and encompasses digital activities that help people unlock hidden gems around Malaysia. This two-month long campaign is going to be an interesting one. For the whole month of August, you will be able to get your hands on these six specially-designed limited edition Heineken bottles! Each bottle represents one of six global cities such as: New York, Shanghai, Berlin, Amsterdam, London, and our very own, Kuala Lumpur. For those of you who loves discovering things, Heineken has a mobile-friendly website that reveals unique locations across Malaysia. You will see interesting locations around their vicinity and experience a spark to new experiences wherever they are. It has been a while since you experienced a spark? Here's your chance to feel that again ;). 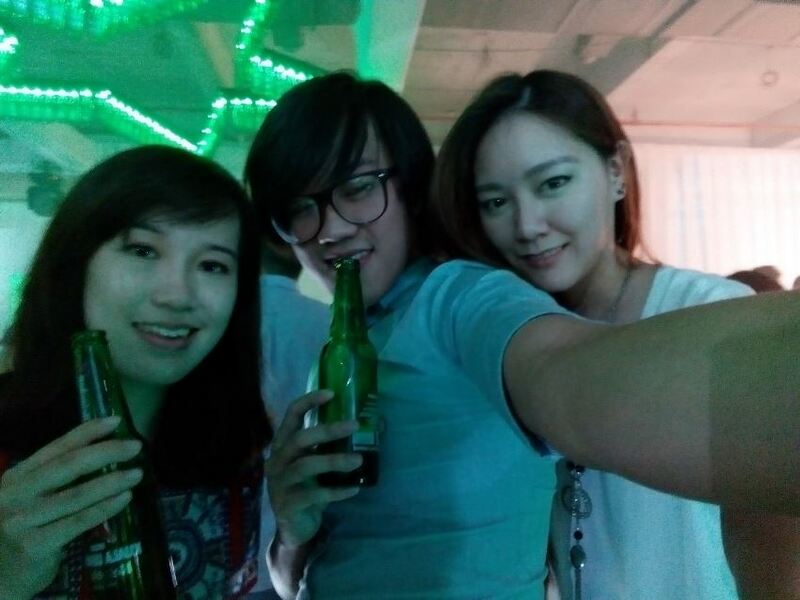 With that aside, now it's time to share with you the PARTY pictures! I have to admit that I was very surprised with how happening and good this event was. 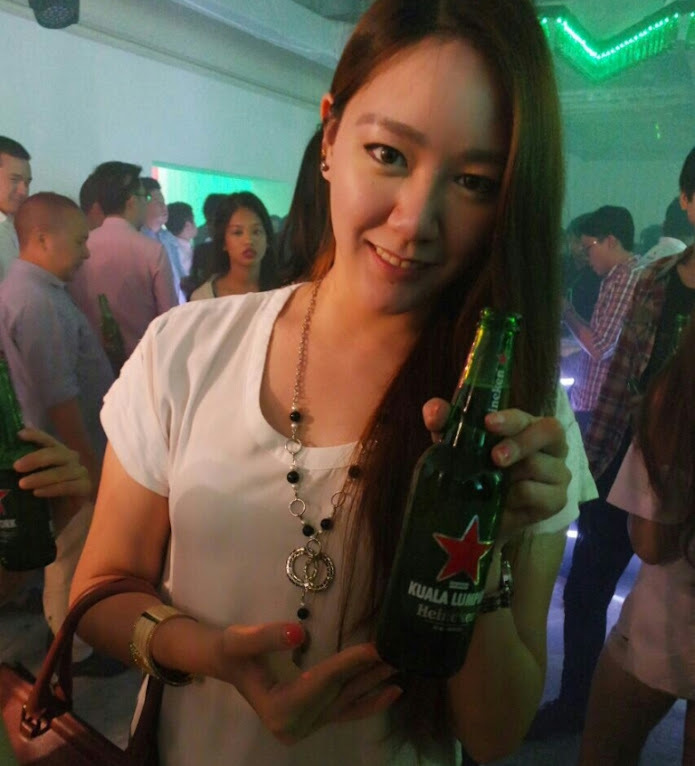 Not looking down on Heineken, just that I've not experience such at Heineken events before. What made my night even better was DJ Goldfish and Blink! As usual they are super awesome! Elizabeth Tan did a duet with both DJs and she has a beautiful voice. 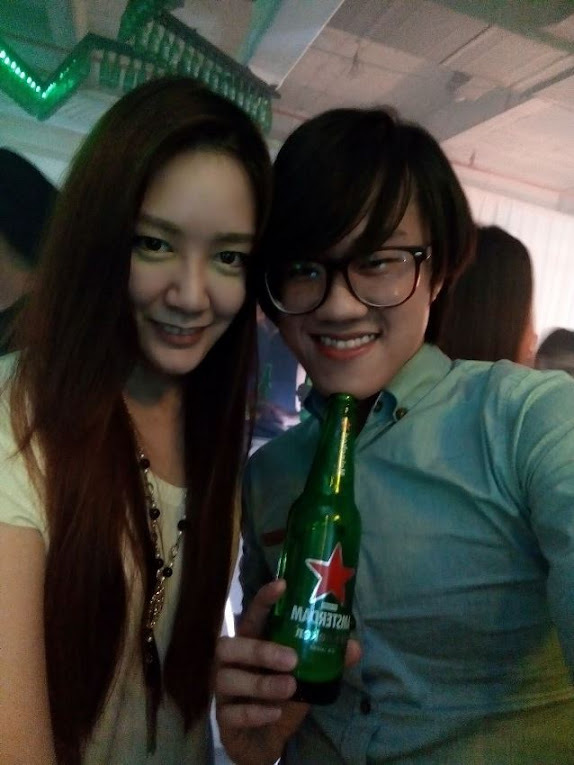 I got to know her at Sam and Kurt's concert in Malaysia and I became a fan since then. Seeing her again that night... just reminds me of why I became her fan. With the girls! 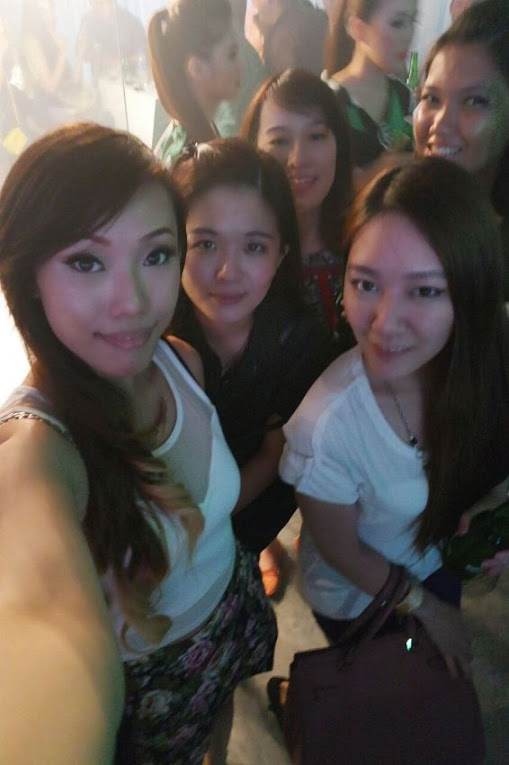 Sandy, Janice, Li Chuen and Nathalie. My plus one was equally as happy as I was! 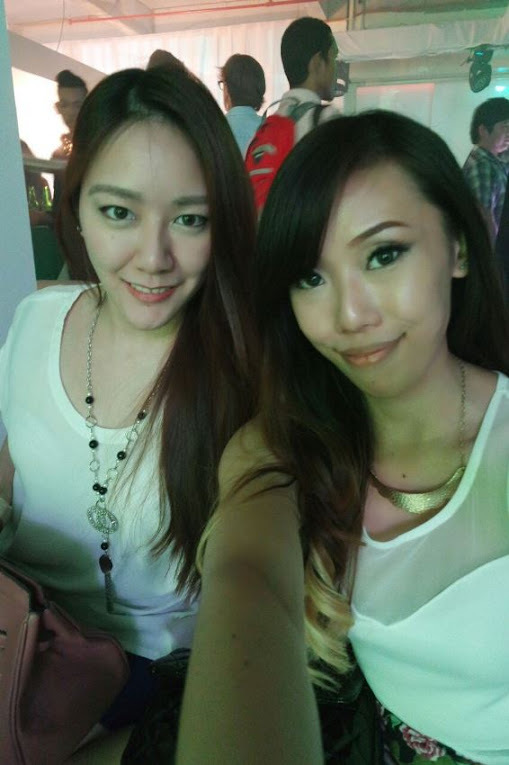 The both of us talked about how no events for a month mentally killed us! But umm based on this picture, I think he looks a lot happier than I am. This campaign will be going on from August 1st till September 15 2014... so HAVE FUN!